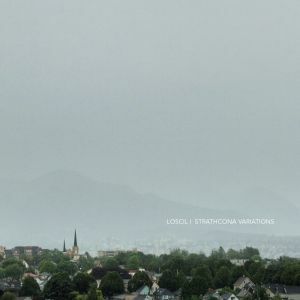 When I reviewed Loscil’s The Strathcona Variations late last year, I wrote that it benefited ambient music to be explicitly conceptual, because concept records could “transcend the perceived simplicity of the craft by turning abstractions into arguments about something.” What I meant is that while the aesthetic itself is fundamentally pleasant, alone it’s a pretty shallow pleasure—comforting, maybe, but ultimately bland. This narrow sense of satisfaction is so consistent across the genre that I’m not even sure what an especially “bad” ambient record might sound like, short of something introducing enough radically different elements that it no longer even qualifies as an ambient record. I see this as a problem because if everything is good then nothing is; how do we laud someone for succeeding where they couldn’t possibly have failed? How do we craft a canon for a genre with no full spectrum of quality? How do we describe music that all sounds more or less the same? Well, we can look elsewhere: we can read into things, project ideas upon them. Which is what we do with most art, yeah, but ambient’s overwhelming blankness, its stretches of colorless near-silence, provides such welcoming invitation for interpretation. And so while William Basinski’s The Disintegration Loops (2003-2004) is the sound of five-second synth swells repeating and decaying over the course of several hours, that album is actually about the inevitability of death, the impermanence of everything physical, our contemporary tendency to subordinate the essential vitality of the organic to the hollow convenience of the digital, and the artificiality of music and, by extension, of all art. I think. The point is that despite its simplicity, Basinski’s work speaks volumes; it presents itself as “about” something very specific, and in doing so transcends the merely pleasant stagnancy of the genre from which it arises. 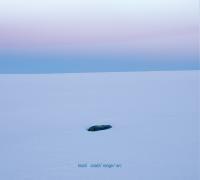 Loscil’s albums have all been “about” things in a similar way—they are about submarines, or industry, or the sky. 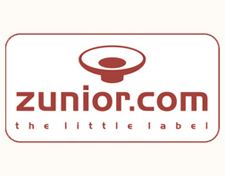 Which is to say that they are about the sorts of things that many ambient records are out of the necessity of their own denial of language: these are vagaries, not so much themes as atmospheres suggested by titles, album art, obvious samples. 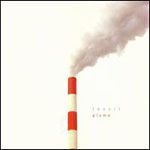 Plume‘s cover features a smoke stack; it is about factories and smoke and the social implications of both. 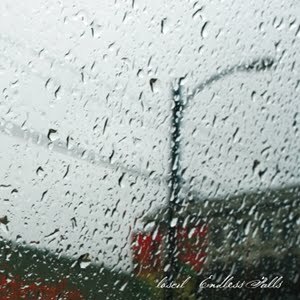 Endless Falls, then, is about rain, or water in general, which can be inferred from some pretty conspicuous gestures—a water-streaked window here, the sound of heavy rainfall there. Loscil has set these markers up as signposts for an easy reading, as a convenient entrance point for a record that otherwise has nothing at all to do with the rain. 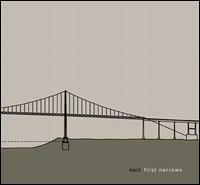 “Can you really construct it, every last bit of it?”, Loscil asks of ambient music, “and just let the listener feel its effects?” He claims to believe “the answer, in this case, to be yes,” but it would seem otherwise. The listener can’t just feel the effects of the genre, not without some meaning, some deeper reading, even though “the right reading is that I just don’t understand it, at all,” and likely neither do we. There’s a sense in which this final gesture feels too confrontational, too overpowering, but it seems to me that if the problem with ambient lies in the necessity of integrating “readable” concepts, taking that need to the extreme is maybe the best solution. If we’re asking too much of ambient music, if by demanding theory we’re just “too stupid to commit to a single thing,” this is what we’ve got to accept: if we want form then here it is, crystal clear as it’s forced onto the thing. Loscil just wants us to feel the effects.